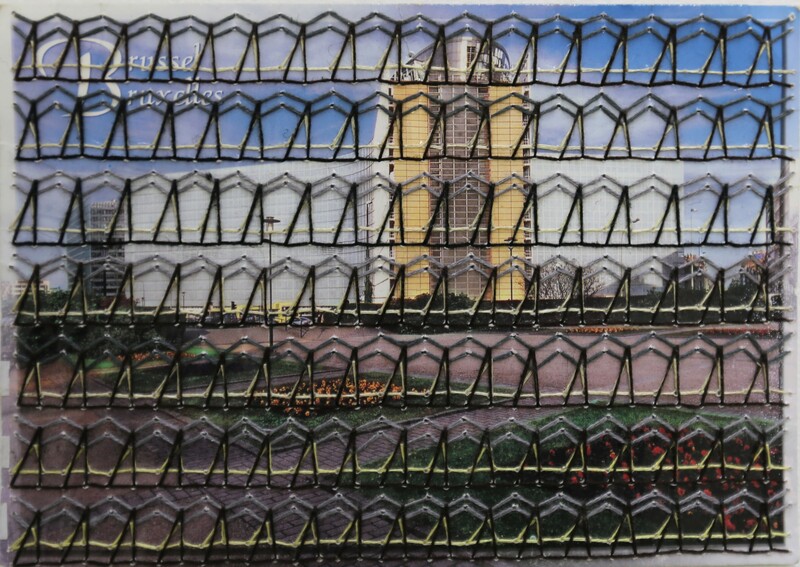 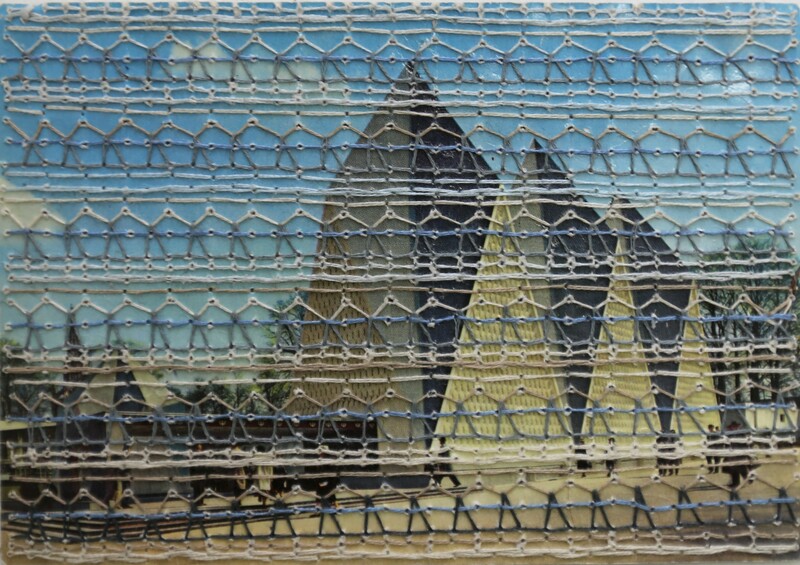 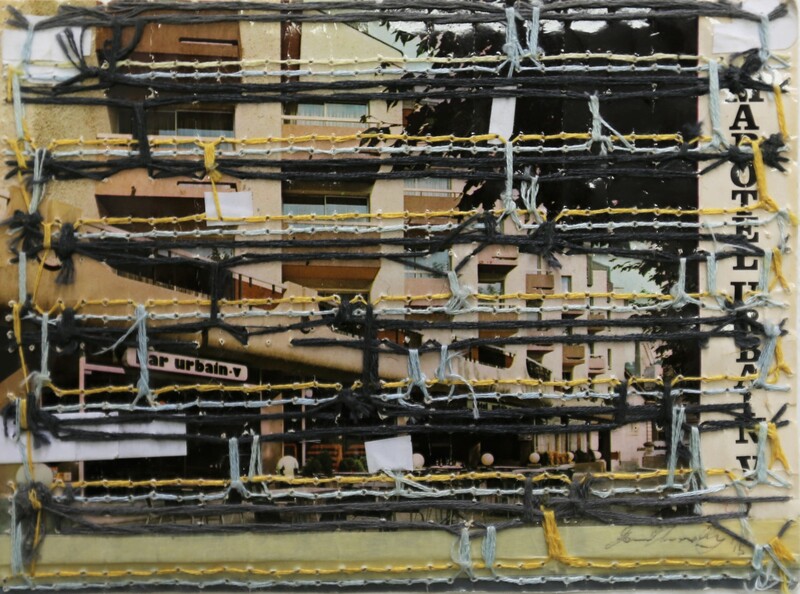 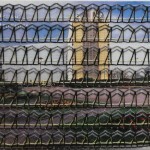 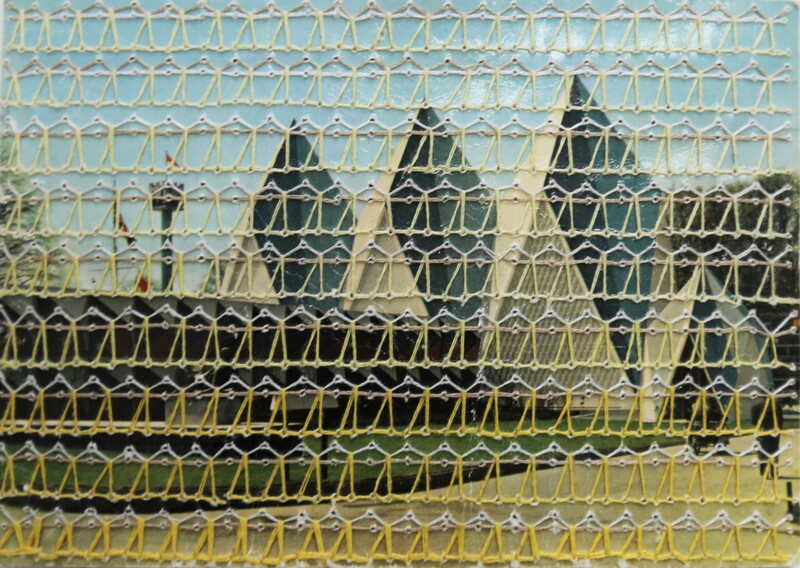 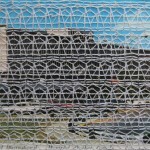 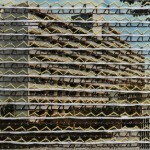 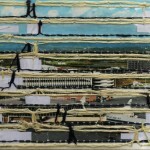 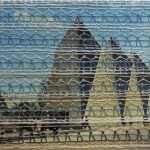 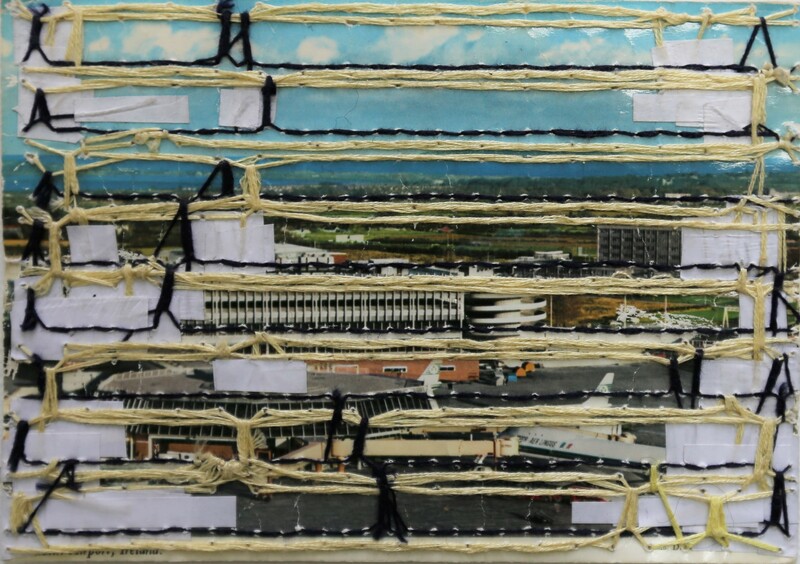 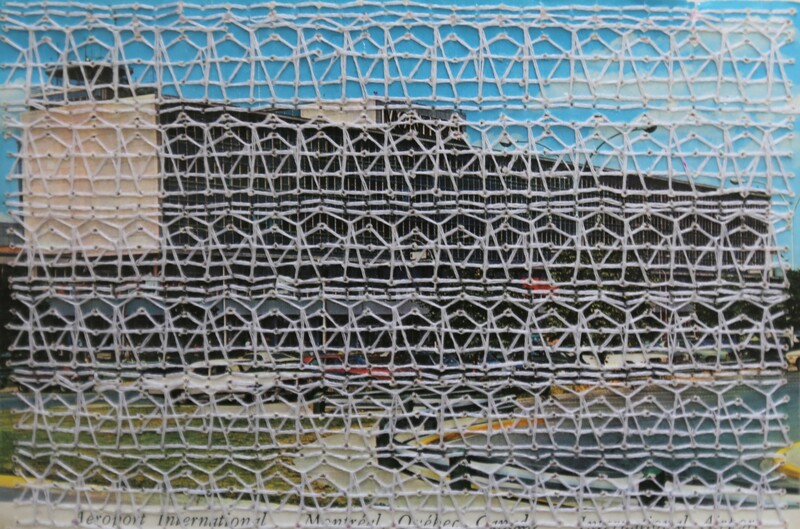 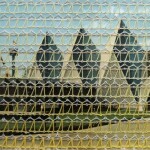 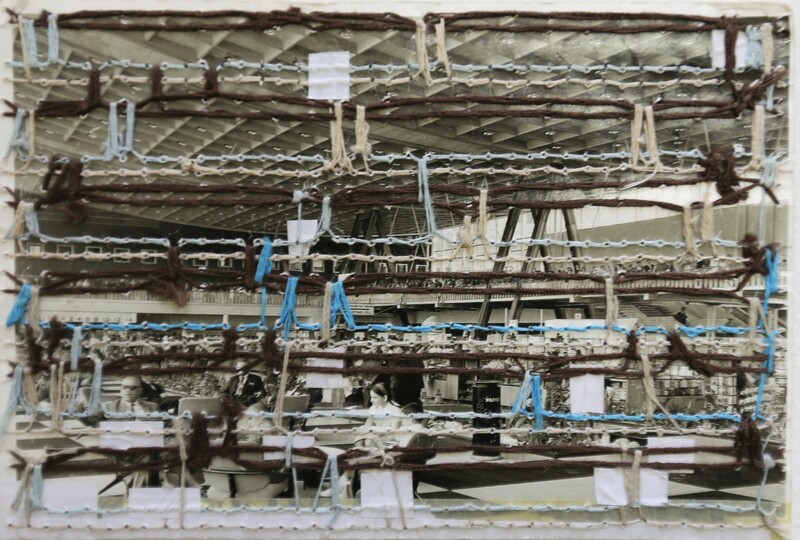 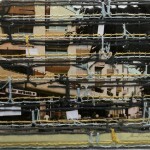 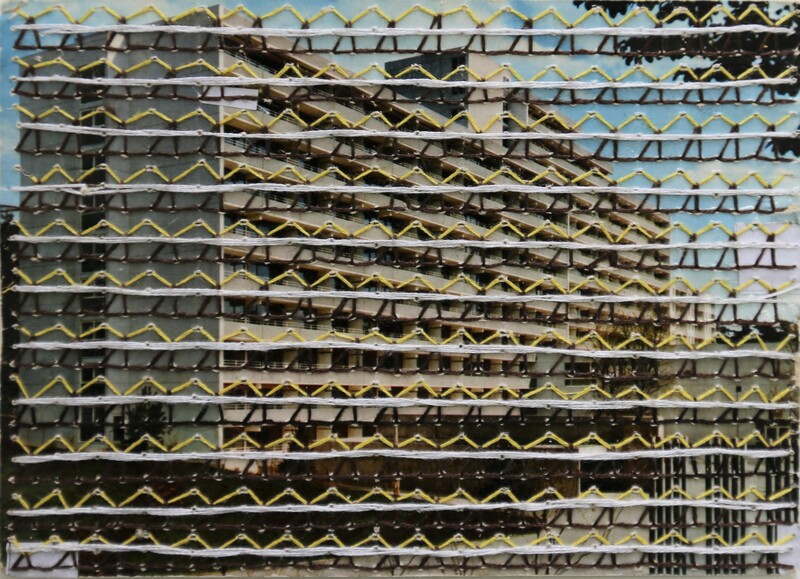 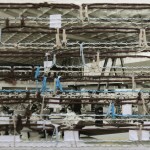 Embroidered images of post-war architecture. 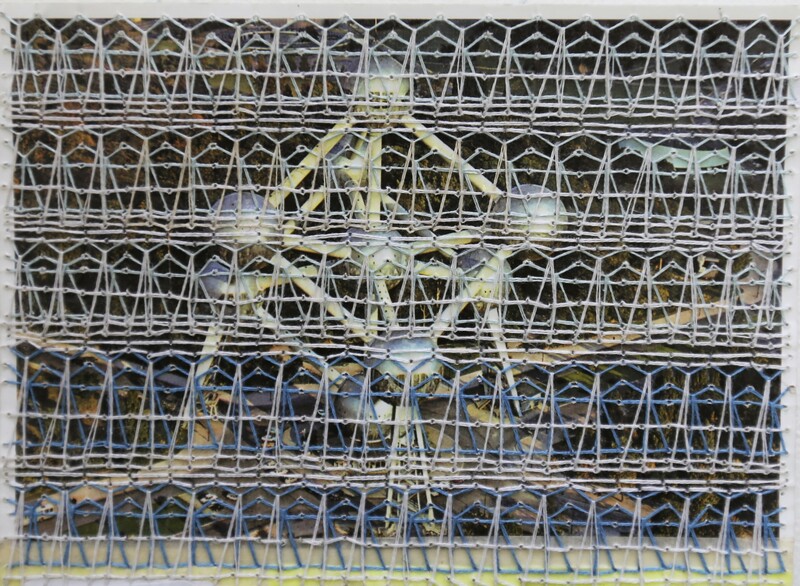 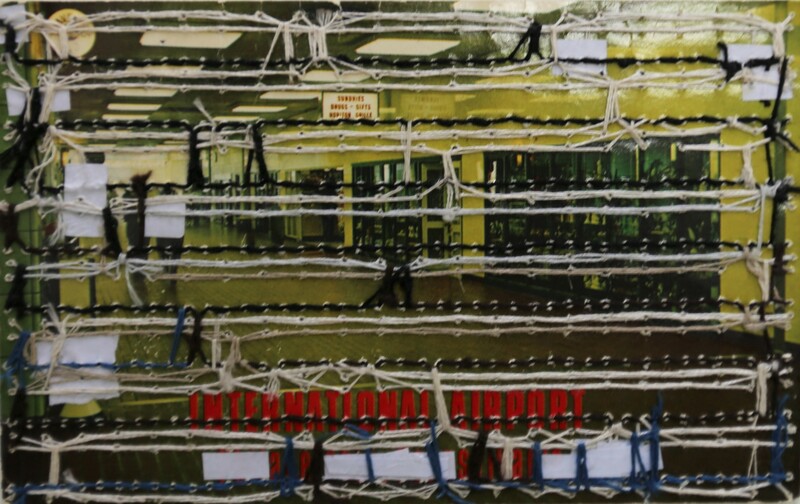 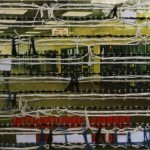 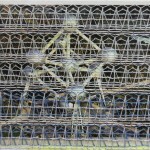 The embroidery stitch is the quasi-autonomous stitch varient which was developed and patented by the artist while on residency at the Center for Contemporary Textile Art in Tournai. 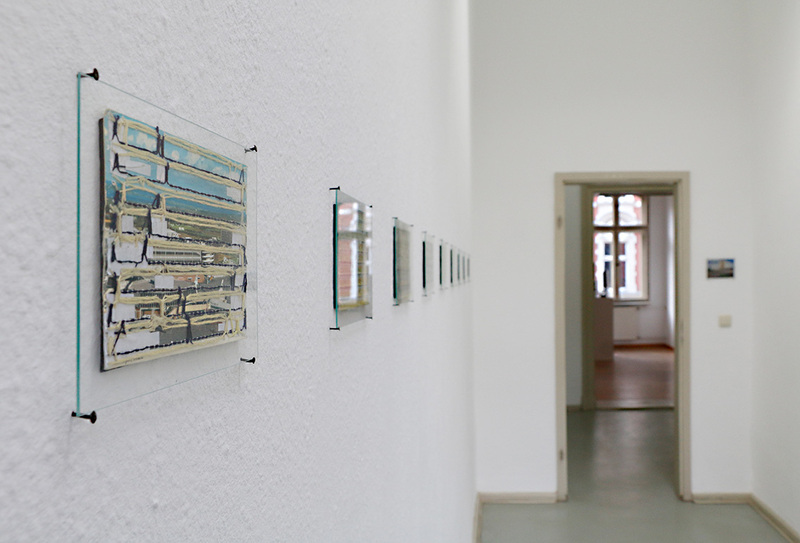 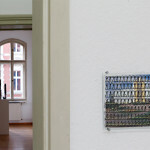 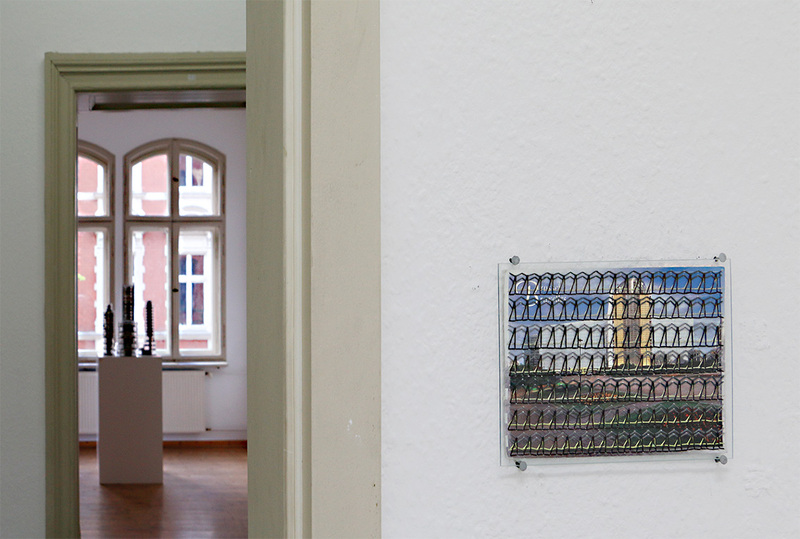 The works were installed in the project room at Galerie Weisser Elefant, Berlin as part of the Neue Heimat exhibition. 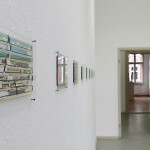 Documentation of entire exhibition at scissorella.